Looking for a PlaySoniq card	 0 Be the first to post a reaction! WTB: Gamecenter 09 - Tank Battalion - タンクバタリアン	 0 Be the first to post a reaction! 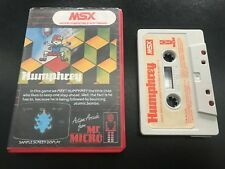 MSX Auctions - Rate it R! WTS: HAL Space Trouble and Yamaha YRM-101 FM Music Composer	 0 Be the first to post a reaction! WTS: Some tape games/software	 0 Be the first to post a reaction! looking for the game l'affaire from infogrames	 0 Be the first to post a reaction! [WTB] Looking for Konami games	 0 Be the first to post a reaction! [WANTED] YAMAHA CX music keyboard. Searching for Spare part for sony kx-14 cp1	 0 Be the first to post a reaction! [WTB] Complete Konami "Cabbage Patch Kids"
[WANTED] Pioneer PX-7 keyboard	 0 Be the first to post a reaction! WTB: MIDI-PAC v2	 0 Be the first to post a reaction! [WTB] Broken YIS-503/604 keyboard	 0 Be the first to post a reaction!